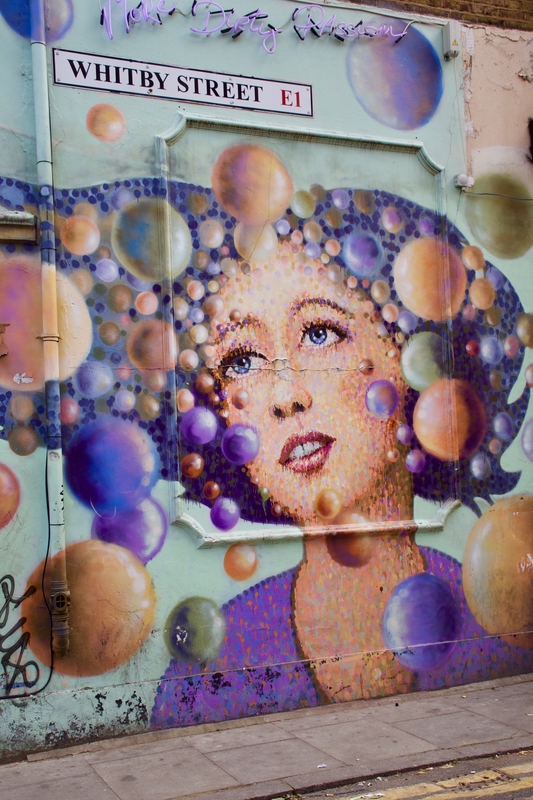 Whether or not you’ve been to London, you’ve probably heard of vibrant Shoreditch. Now, I have to say, it’s not an area I know well, so when Hotels.com challenged me to spend the day there and explore, I was super excited. Of course, my boyfriend/personal photographer was on duty and we set off to discover the secrets of the East. 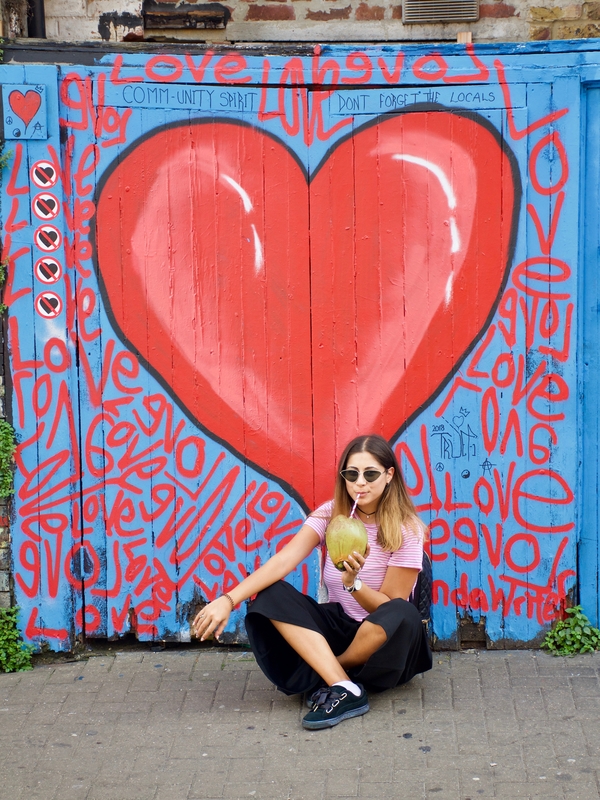 Should you need a place to stay, look for hotels near Shoreditch and once you’ve settled in, follow me into the land of fun! We started off at Columbia Road Flower Market. I’d been wanting to go there for the longest time, and I’m glad I finally did. Now, if you are planning on going, I would suggest making the trip as early in the morning as possible. The market opens at 8am, and I wish we’d gone around 9ish, because by the time we got there, it was super busy and slightly difficult to walk because of the crowds. However, you get better deals on plants later on in the day, so if slow walkers don’t bother you, then after 11am is your time. 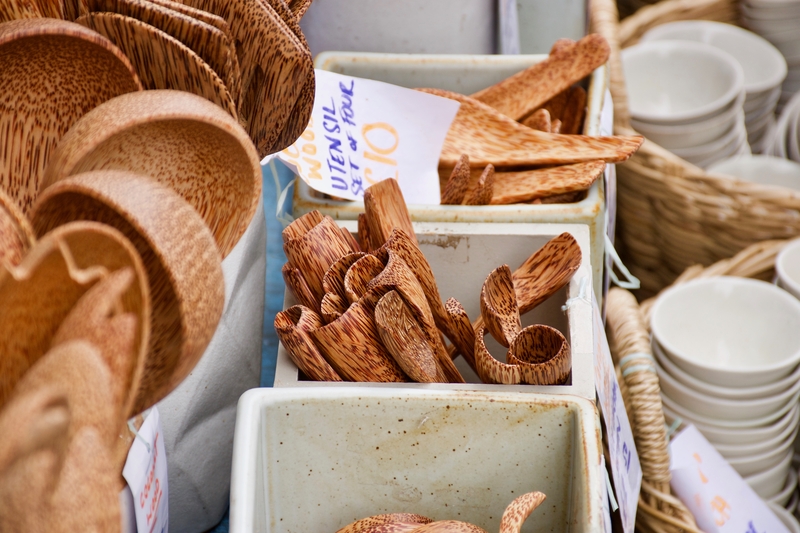 We found a cute little shop called Nom Living just at the start of the market that sold all kinds of cute wooden stuff – spoons, spatulas, bowls, etc. I managed to stop myself from buying everything they had in there, but I couldn’t resist grabbing some chopsticks. Next− brunch. We went to The Attendant. 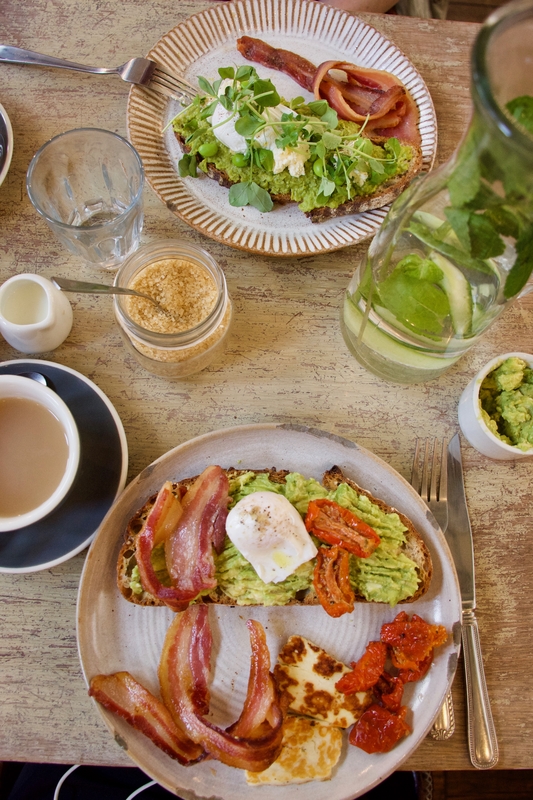 I’ve been teaching myself to eat avocado toast, because it’s just not acceptable to not like it as a millennial, and had a gorgeous toastie with smashed avocado, bacon, egg and a roasted tomato. Very millennial of me, I know. I also wore a pink stripy top. #basic. Simon’s toastie came with pea and chilli smash, which was also very yum. 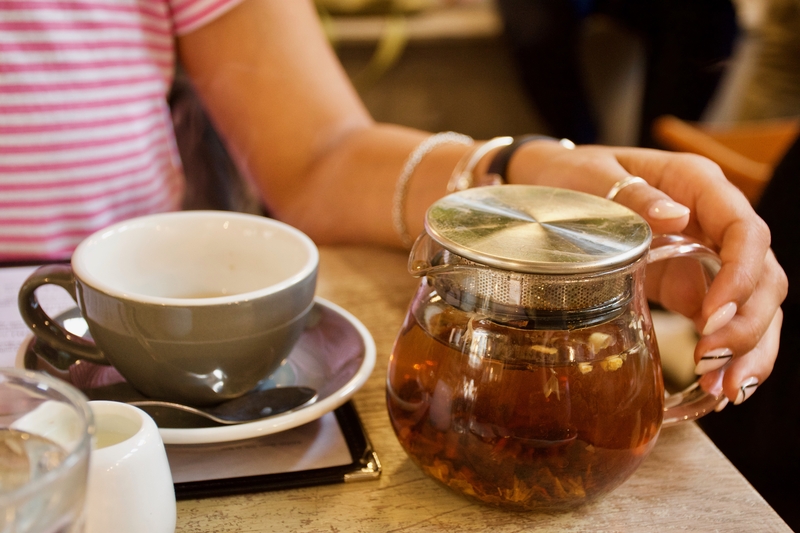 You might have to wait for a little before you get a table on the weekend, but it’s worth it. After we’d fueled ourselves, it was time for more exploring. We set off to Goodhood. Concept stores are my favourite kind of stores because you can find the most interesting little bits there. 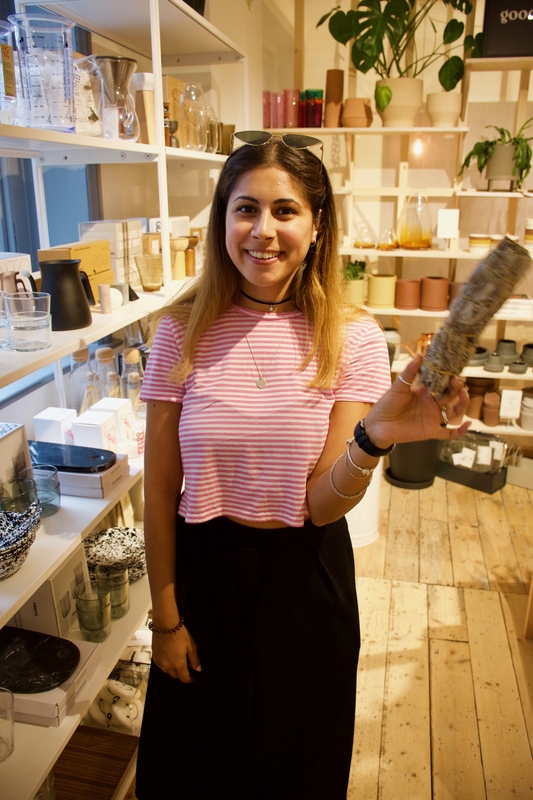 From homeware to clothing, to books and skincare products from funky well-known and indie brands. It definitely goes on my payday list, I can tell you that. 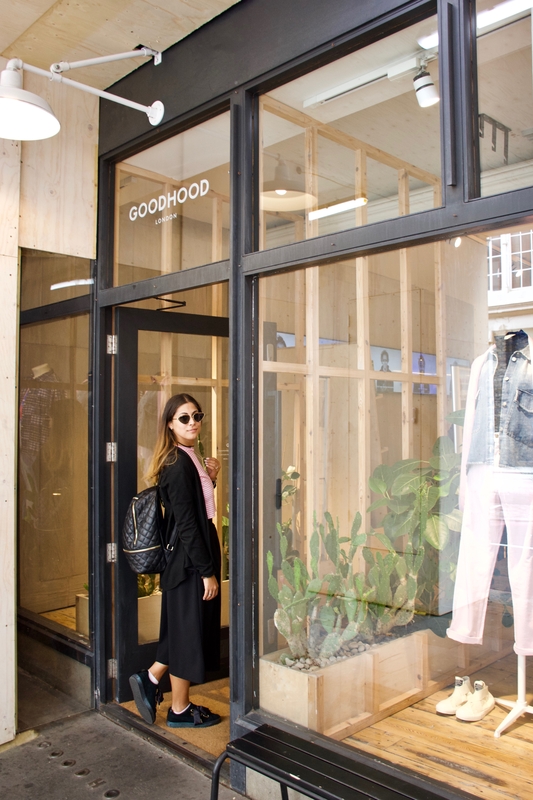 A staple in London, Goodhood is definitely a must-visit place. I also found some sage to pretend burn in there, which was fun! 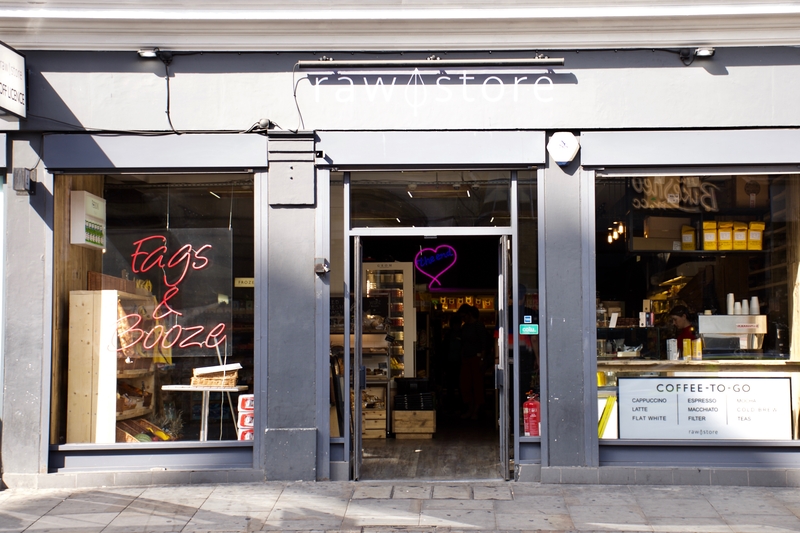 If you’re after some vintage shopping, Shoreditch is your place. Cheshire Street is one full of all kinds of vintage stores, a lot of which are closed on a Sunday, so be aware of that. 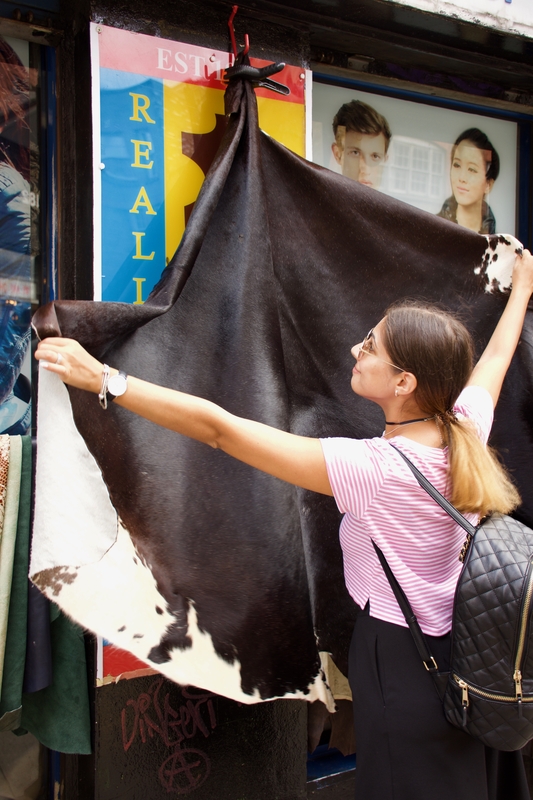 You can also find yourself a little cow rug. Fancy, I know. 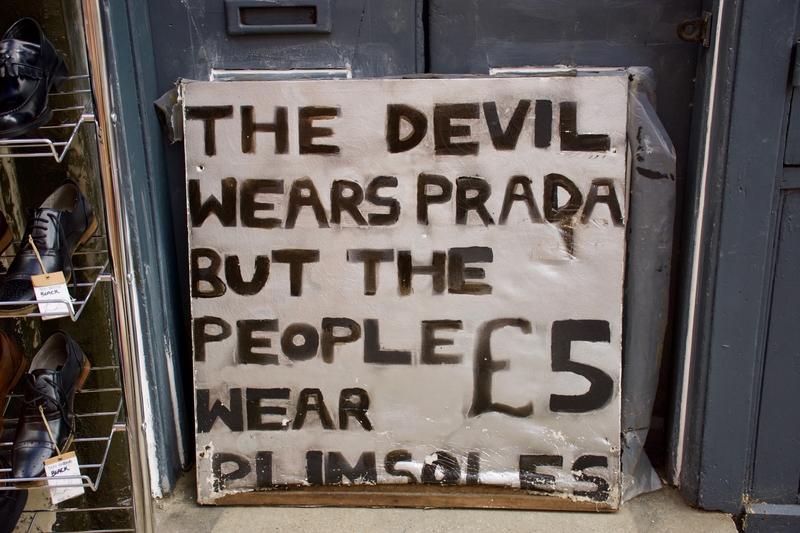 Or maybe you want some £5 plimsolls… Whatever it is, Cheshire street is your place. If you walk down Brick Lane, you can find all kinds of treasures. 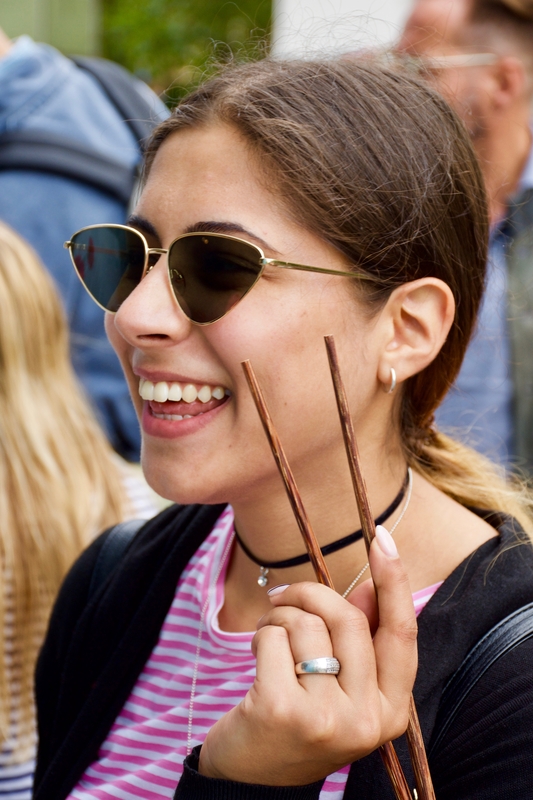 From vintage items to food, to a not-so-hidden vinyl market, to some boutiques; you can spend aaaages exploring the market area. 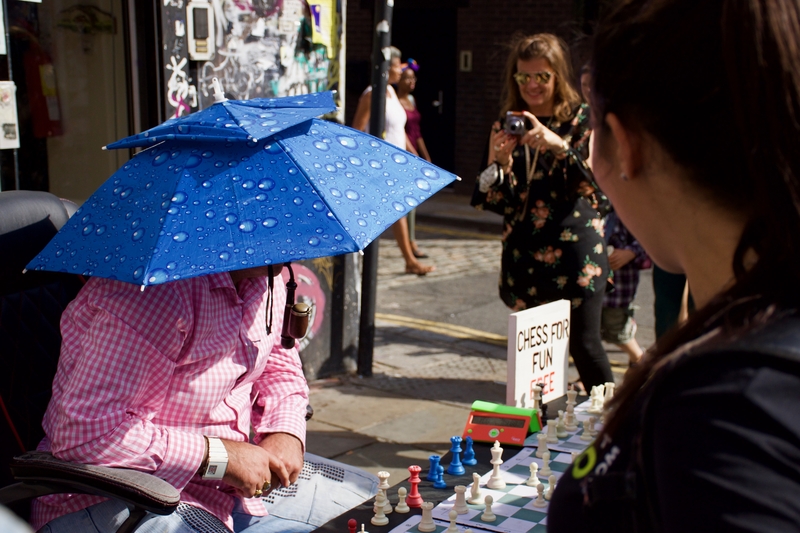 Accompanied by music by street performers, and with a fresh coconut in hand, you can play some chess for fun with the man who plays three people at the same time, or just look at the street art. 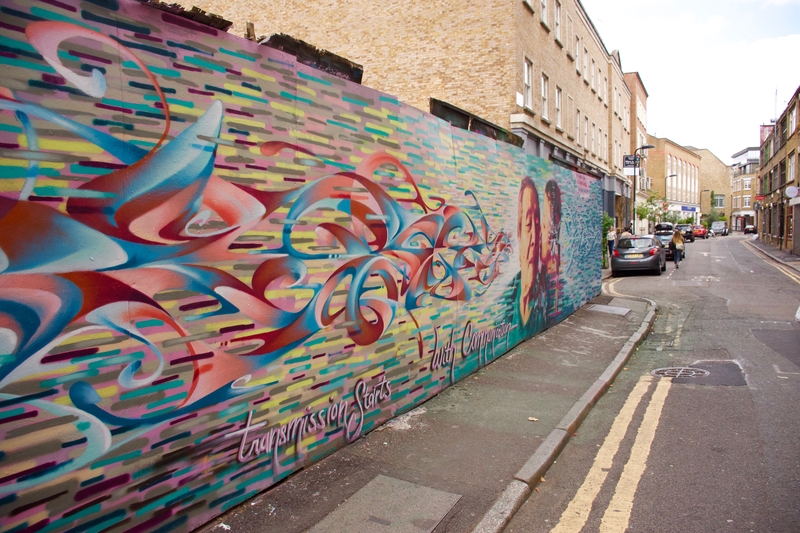 As we got onto Princelet Street, the noise from Brick Lane was gone, and there was peace. 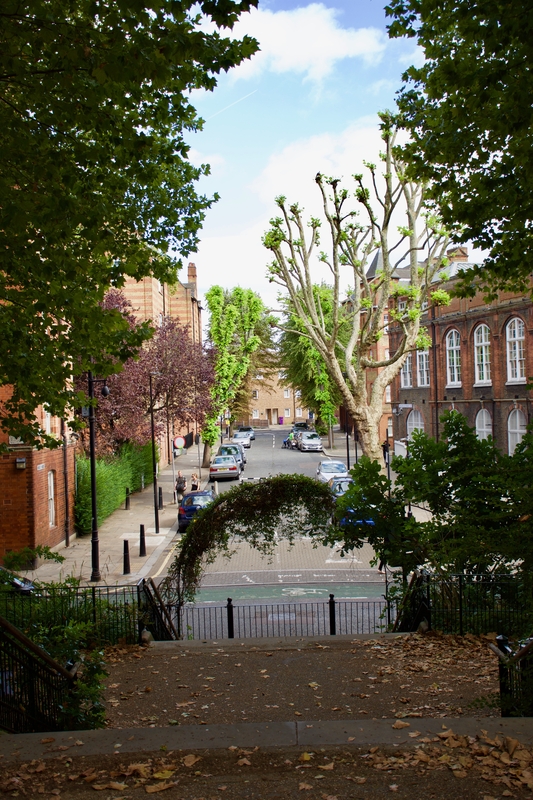 As one of London’s old historic streets, it’s a popular location, but we were lucky to find the street almost empty. The most memorable of the houses is number 4. First of all, it’s bottom half is pink. I love it already. The house has not been modernised, so it looks as it did all those years ago, when it was a merchant house. 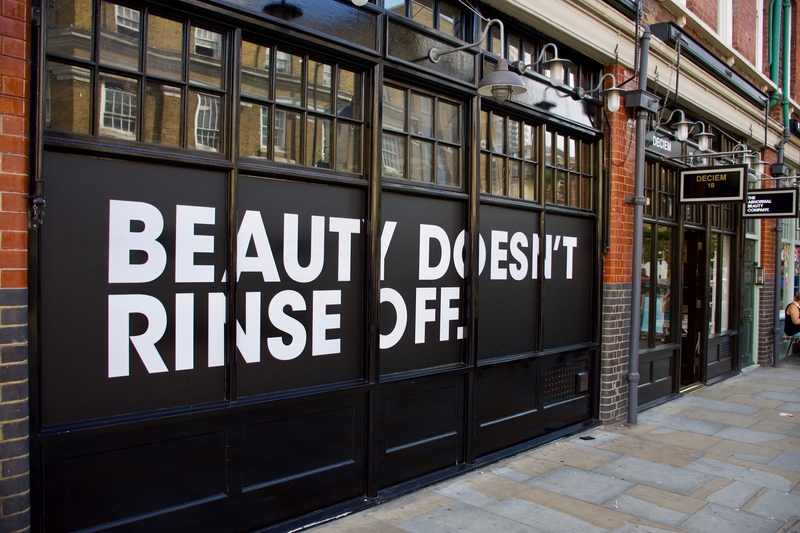 Just off Princelet street, you’ll find yourself in Spitafields, where you can shop, eat, drink and shop some more. 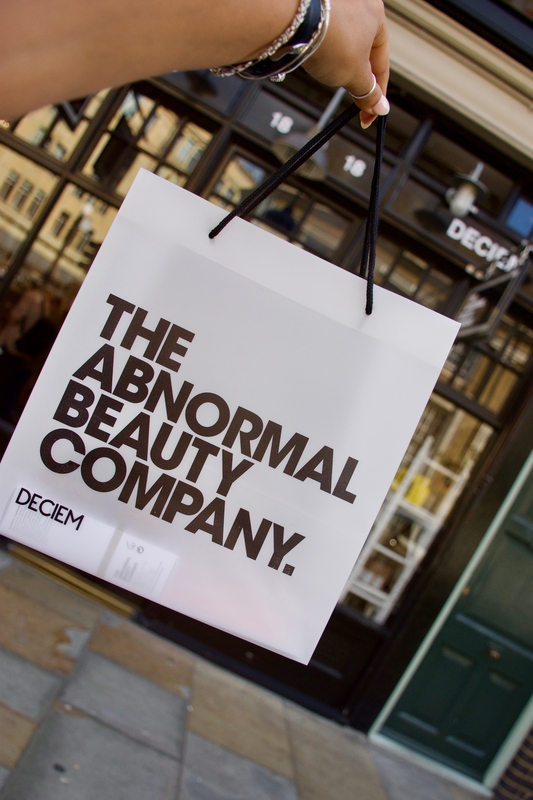 I couldn’t resist visiting the large Deciem store there and getting myself a little something. You know me, I love my skincare. 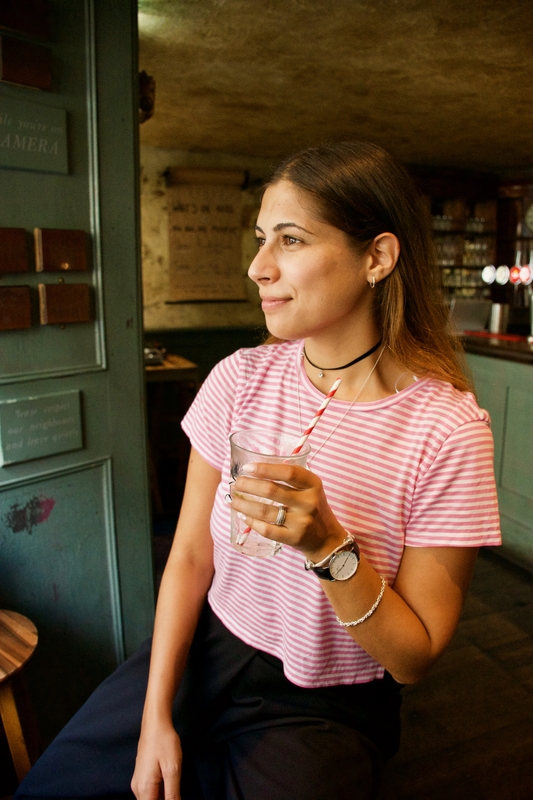 And what is a day out in London if you don’t hit the pub? I am not a big fan of those establishments, but I love finding ones that surprise me and are pleasant to hang out at. Like the Owl & Pussycat. 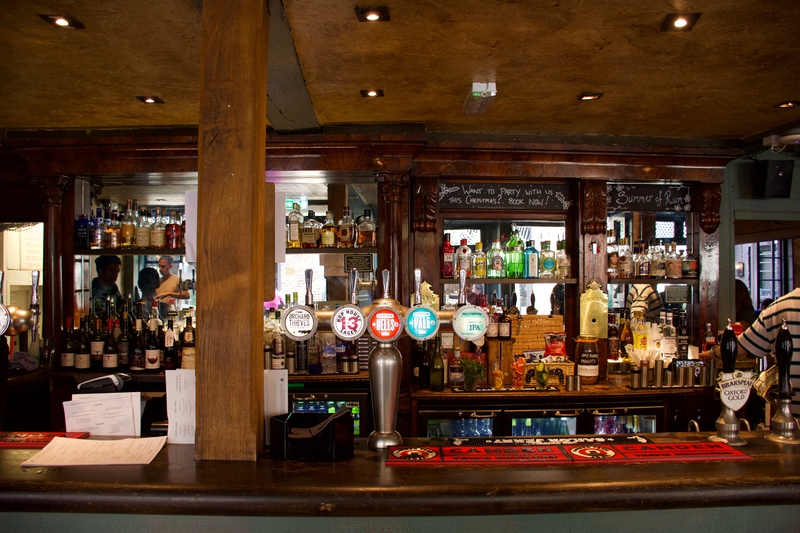 It’s got a lovely little beer garden, classic pub interior and the full range of drinks you might want, but it doesn’t smell bad and doesn’t house drunk middle-aged men. Just my type of pub! Also, Simon is an owl and I’m a cat, so we just had to go in. Opposite the Owl & Pussycat is another concept store – Modern Society. You can have a coffee and a snack in there and then browse through all the treasures they have. From their own fashion brand to all the designers and brands they stock. 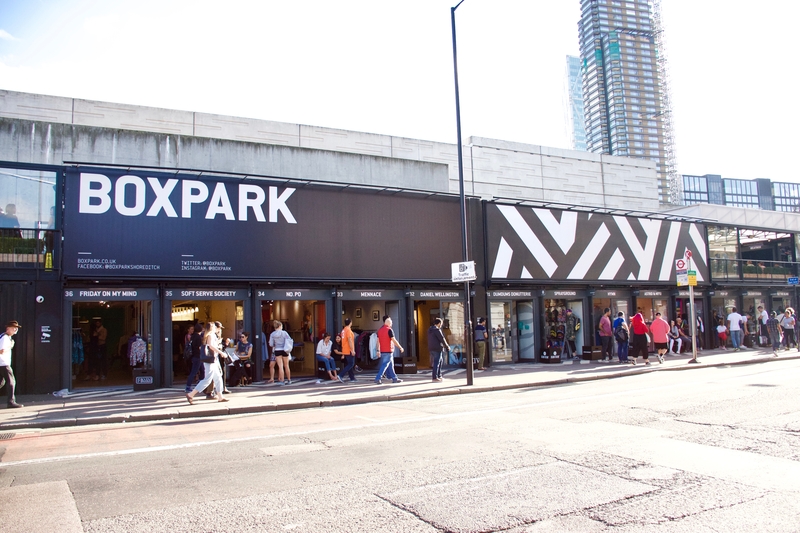 To end the day, we decided to head to Boxpark. 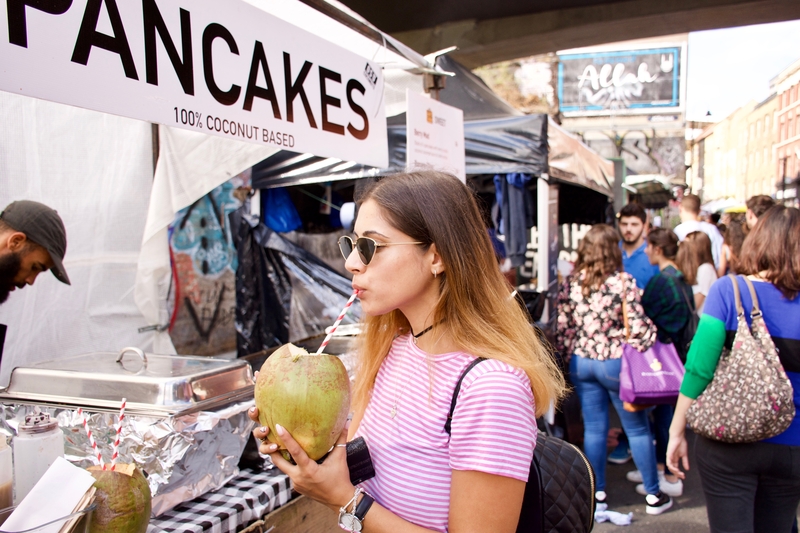 The establishment describes itself as the world’s biggest pop-up mall, where you can find all kinds of lifestyle shops, street food and bars. Basically, everything you need, right in the same place. 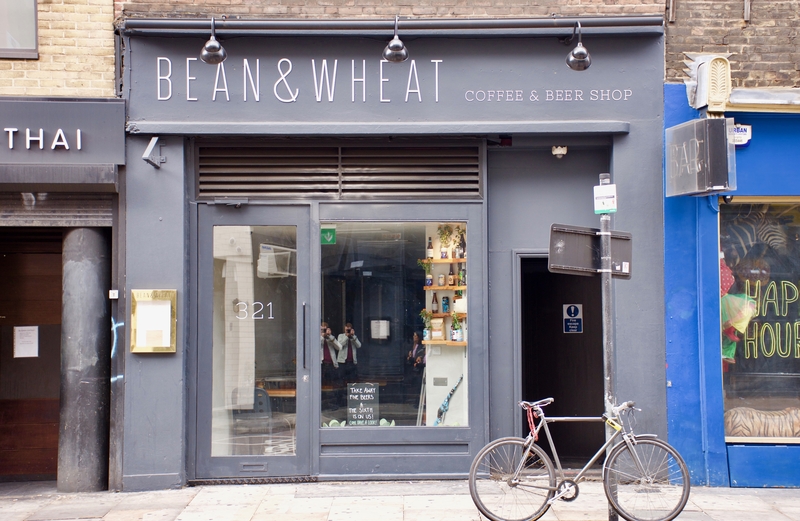 My two favourite places in Boxpark? 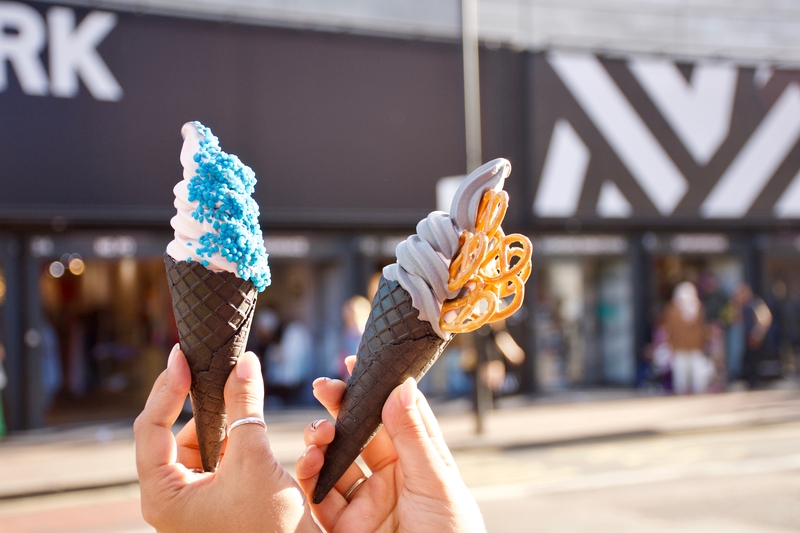 Soft Serve Society, where you can get charcoal ice cream (after queueing for a bit, because everyone wants that black ice cream cone) and AOC edit – a lifestyle boutique with a ‘cool people’ vibe. I was ready to buy a funky top, but Simon killed my vibe when he said ‘you’re not Kanye, babe’. The reality hit me and I went out to eat my ice cream in the sun. And with this, our big day out exploring the East was over. 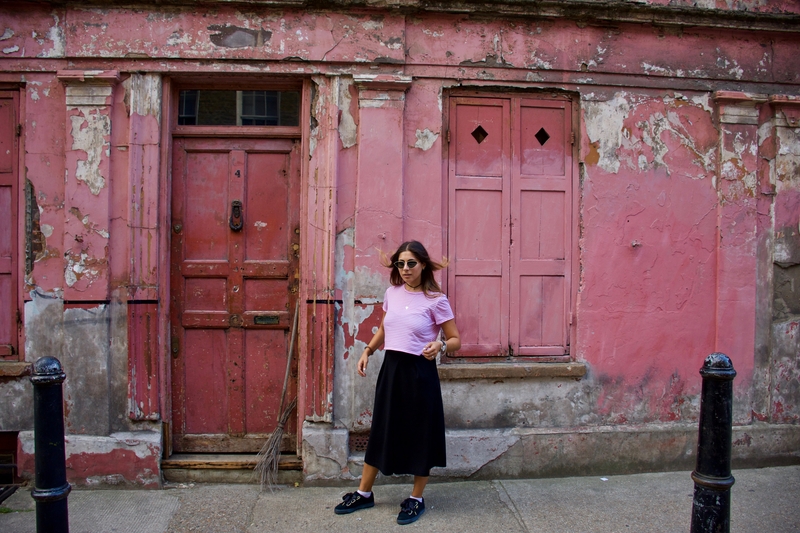 I am now a Shoreditch lover and while I still love the West, I am definitely going back soon for some ice cream and vintage sunglasses shopping. Dishoom – the one and only Indian food I eat, and for a reason. The atmosphere is lovely, the dishes more than tasty, and you can ask the host/waiter to tell you a bit about the history of Irani cafes if you’re curious. You can only book for breakfast and lunch, so if you want dinner either go early or be prepared to queue. Duck & Waffle – not sure if this can be counted as Shoreditch, but it’s got lovely food and a great view of the East. And it’s open 24/7 which in my experience is rare in London. 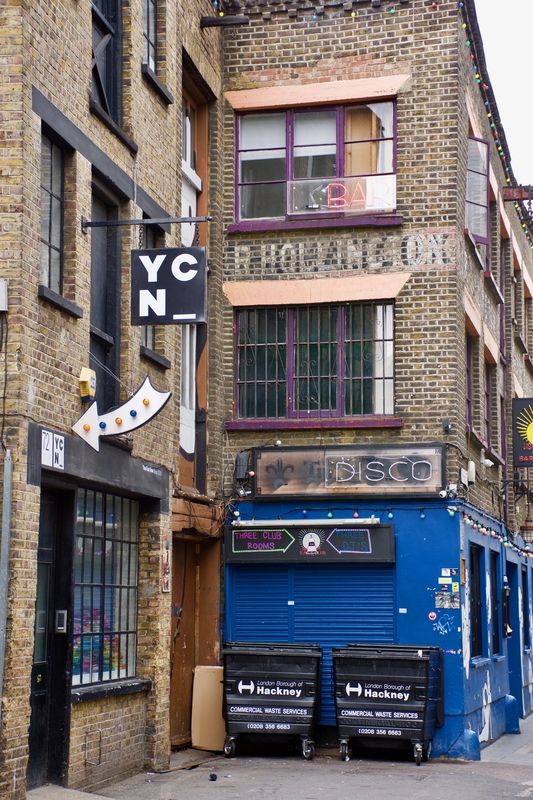 Queen of Hoxton – the iconic East kid hangout. The pub has a lovely rooftop area where you can party all summer long. I hope I’ve convinced you into adding the Shoreditch area to your London list. Haven’t been to this district yet but it looks attractive. It’s really fun, you should go! Shoeditch is such a great location and it looks like you’ve had a fantastic time. Your photos are beautiful too.